1. Debbie Reichert Fitness, LLC is a small group fitness/personal training service provider. 2. 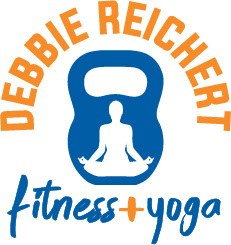 I, have requested Debbie Reichert Fitness, LLC to provide me small group fitness and/or personal training sessions. I, through the purchase of training sessions, have voluntarily agreed to participate in a program of physical exercise, including, but not limited to, strength training, flexibility development and aerobic exercise (“Activities”), under the guidance of Debbie Reichert (“Trainer”). I declare myself physically and mentally sound and suffering from no condition, impairment, disease, infirmity, or other illness or condition that would prevent my participation in training sessions or my use of exercise equipment to be used in connection with workouts, including, but not limited to, treadmills, stair climbers, benches, dumb bells, barbells and similar items. I acknowledge I have been informed of the need for a physicians’ approval for participation in an exercise/fitness activity or in the use of Equipment. I recognize it is my sole responsibility to obtain an examination by a physician prior to involvement in any exercise program. I acknowledge I have either had a physical examination and been given my physician’s permission to participate, or if I have chosen not to obtain a physician’s permission prior to beginning this exercise program with Trainer, I acknowledge I am doing so at my own risk. I hereby state that I am aware that Activities, including the use of exercise equipment, are potentially hazardous activities. I acknowledge the possibility that injuries and physical and mental changes (“Injuries and Changes”) arising during and/or resulting from engaging in Activities does exist. Injuries and Changes include, but are not limited to, bruises, sprains, strains, tears, broken bones, abnormal blood pressure, fainting, disorders in heartbeat, heart attack, and in some instances, death. I am voluntarily participating in Activities and using fitness equipment with knowledge of the dangers involved. I understand and take sole responsibility for any and all Injuries and Changes that may occur to myself and/or others, including but not limited to Trainer, related to any and all Activities associated with Trainer’s instruction, even if not specifically set forth in this document, whether or not they fall within the scope of reasonably foreseeable injuries related to such Activities, and whether or not undertaken in Trainer’s presence. Although Trainer will take precautions to ensure my safety, I expressly assume and accept sole responsibility for my safety and for any and all Injuries and/or Changes that may occur. In order to get the most out of our relationship and allow you to make the most progress, we have the following guidelines for you as a private client of ours. These guidelines will help ensure your success and safety. 1. Please come prepared to every session ready to workout. e.	Drink plenty of water prior to your session. f.	Be on time. If you are late, that comes out of your scheduled session time. a. For small group sessions, please do your very best to show up for your scheduled day and time. If you do need to miss a session, you can schedule a makeup session with your Trainer during the same month. Although your Trainer does not require monthly contracts, for the clients’ convenience, once you sign up for a specific day and time it is your slot until you notify Trainer otherwise. Please give the Trainer at least two weeks’ notice before the start of a new month if you are unable to continue with small group training. 3. Notify your Trainer in advance of a session if you are sick or have a recent injury. This will give your Trainer the chance to recommend a rescheduled appointment or plan an alternative session. 4. Do your homework. If your Trainer assigns you homework, please make every effort to do it. If this is not possible, you need to let your Trainer know why not and what steps will be taken to ensure work outside the scheduled sessions is completed in the future. 5. Please be honest with your Trainer. If you are not honest about any current or past health conditions, that could result in injury to you. If you are not honest about your eating habits or your homework, your Trainer will not be able to help you meet your needs. We encourage and value honesty from our clients. 6. Give your Trainer feedback. We want to know how you’re doing, and what you think about your sessions. If we’re not meeting your needs, let’s talk about it. The ultimate goal of Debbie Reichert Fitness, LLC is to see you succeed. I hereby acknowledge and agree that no warranties or representations have been made to me regarding the results I will achieve from this program. I understand results are individual and may vary. I hereby acknowledge that I have thoroughly read this waiver and release and fully understand it is a waiver and release of liability. By signing this document, I am waiving any right I, or my heirs and/or assigns, may have to bring any and all legal actions or assert any and all claims against Trainer, it’s respective representatives, executors, and/or assigns. I hereby represent and warrant I am signing this agreement voluntarily of my own free will and volition and not under fraud or duress. I further represent and warrant no social relationship exists between Trainer and me, or if such a social relationship exists, for purposes of my training sessions, Trainer and I have assumed a strict business relationship, and I understand any social relationship does not render this waiver invalid. These exculpatory clauses are intended to apply to any and all activities occurring during the time for which I have contracted with Trainer.